An increasing number of people are choosing a plant based diet. This diet mainly consists of vegetables, fruits and grains, a few seeds and nuts with rich protein. Many people choose this type of diet just to avoid eating meat, as they see animals as living beings equal to humans. Still a large number of people eat a whole food plant based diet for health and environmental reasons. Various simple ways can help you start and keep a plant based diet. This style of diet can be kept either throughout your life or be followed regularly according to your personal needs and values. Fruit: Bananas, blueberries, oranges, cherries, strawberries and many others. Vegetables: Green leafy vegetables like greens, lettuce, broccoli, kale, carrots and much more. Starchy Vegetables: Potatoes, yams, green peas, corn, squash and so on. Whole Grains: Rice, barley, oats, whole wheat, etc. Legumes: Beans like lima beans, kidney beans, lentils, chickpeas and so forth. Nuts and Seeds: hemp seeds, almonds (raw) and walnuts (raw). There are those who still eat some meat products in their diet. However, a true plant based diet is one that does not include meat, and does not include any products that are by-products of animals, such as eggs, milk and the like. Plants are mostly water, fiber, healthy fats, and vitamins/minerals. Thus, when eating nothing but plant foods the digestion of a person is going to be free from constipation, gas, and other stomach issues. Eating a plant based diet helps to slow down blood sugar, yet still allows the insulin to do what it needs to do. Thus, those who have issues with their blood sugar will find that a plant based diet can cure them. Within most plants are vitamins E, A, C and several antioxidants. All of these are great for the skin. Those who eat a plant based diet for a week often see amazing results with their skin. Many of the plant based foods contain Vitamin B6, tryptophan, and magnesium which are ingredients that have been shown to help improve the natural sleep cycle. When eating a plant based diet, the chances of developing cancer and heart disease are greatly decreased. Those who eat a plant diet are at the lowest risk of heart disease compared with others. One of the main benefits that a plant based diet offers is the fact that it benefits all living creatures in the world that are used for meat production. There are many of these animals that never see the light of day or are able to roam an open field. They are kept in a pen with the purpose of reproducing and then being slaughtered. This is something that most people do not realize when they are eating meat products, and not eating meat is one of the benefits that a plant based diet can offer. When it comes to a plant based diet and its affect in the environment, this is a great way to reduce the carbon footprint that we leave behind. Studies have shown that to keep livestock, it takes a lot of natural resources, including water, and then also thinking about the effect that the livestock has on the environment. When a person eats a plant based diet they are doing even more for the environment, than if they were to stop using their car, due to the emissions that vehicles put into the environment. For example, eliminate meat from one meal per week. Then continue to eliminate it from one more meal each week. With this method, you are going to eliminate the meat slowly, which can make the transition to a plant based diet a bit easier. Consider following the which is encouraging everyone to eat no meat on Monday’s. This is going to help you through the tough times with this diet. Plus, it is has been proven that you tend to act like those who you surround yourself with. It also gives you the opportunity to share plant based diet recipes with one another. This has been shown to be a great way to keep your mind and body as one. It can make transferring to a plant based diet much easier, and helping you to succeed with this. 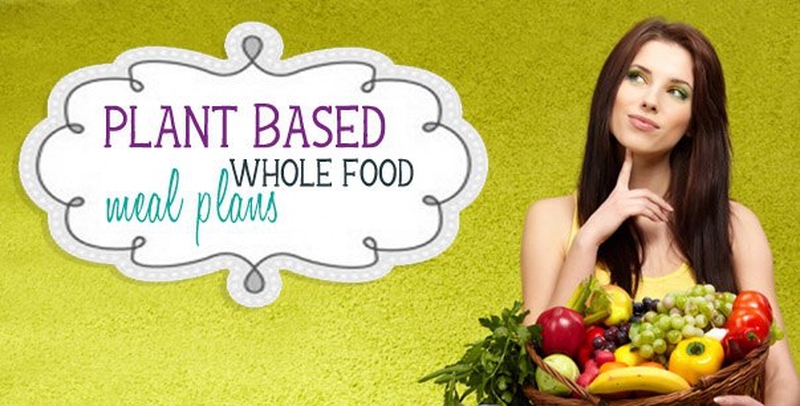 These next steps are to help you to devote your life to a plant based diet. For those who are struggling with the day to day diet, these steps can help to ensure that your progress is not hindered. You need to ensure that what you are putting into your body is going to be good for you. Do not fill your body with useless meat free products that are not really contributing to a healthy lifestyle. This can ensure that you are not missing out on anything. And you may even find that the plant based version is going to taste even better. This is going to give you some great ideas on veggie dishes that you can make, as well as provide you with ideas on how to substitute healthy veggies for meats that you may have once eaten. Write about everything you eat, the struggles you face, and the overall success that you are having. This can be a great way to encourage others to also change to a plant based diet.